HONOLULU - Following President Trump’s announced withdrawal from the agreement last week, Hawaii is now the first state to enact laws to officially support the accord. 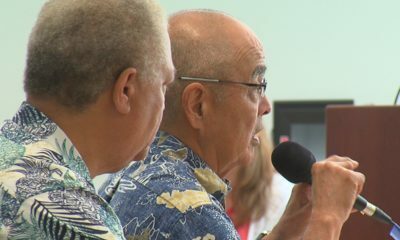 (BIVN) – Hawai‘i’s elected officials gathered in Honolulu on Tuesday to show their support for the Paris Climate Accord, following President Trump’s announced withdrawal from the international agreement. 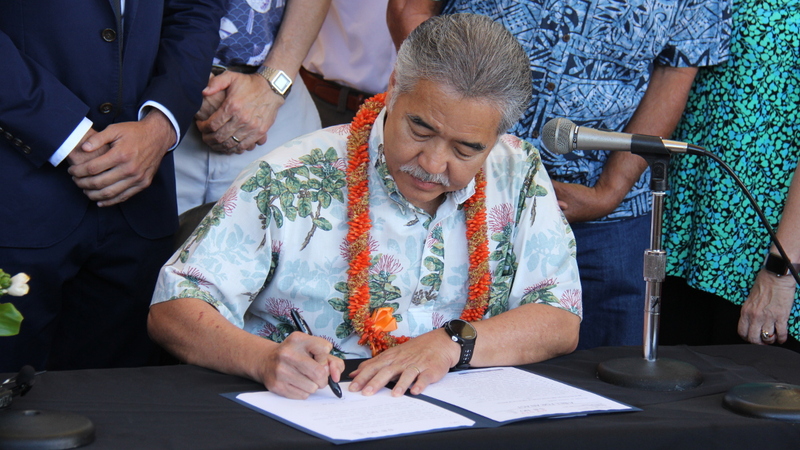 Governor David Ige, county mayors and representatives took part in a ceremonial signing of two bills and a mayors’ agreement that support the commitments and goals of the Paris Accord. 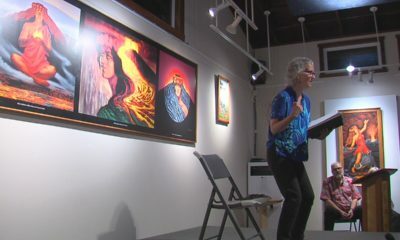 The move makes Hawai‘i the first state in the nation to enact legislation that implements portions of the Paris agreement, officials say. 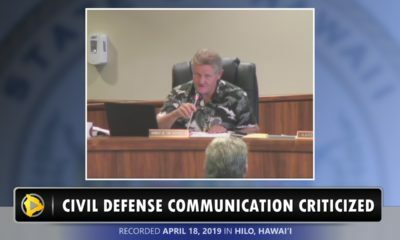 Hawaii County Managing Director Wil Okabe was present on behalf of Mayor Harry Kim. 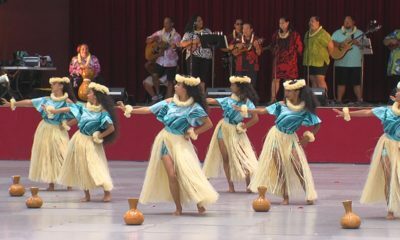 He was joined by Honolulu Mayor Kirk Caldwell, Maui Mayor Alan Arakawa, and Kaua‘i Mayor Bernard Carvalho. The four leaders signed a statement declaring their commitment to continue supporting of the Paris agreement. 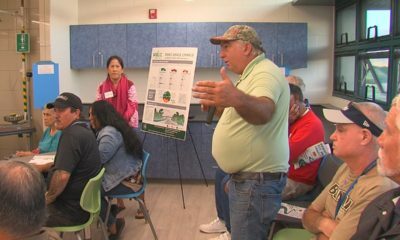 Rep. Chris Lee (Kailua, Waimanalo) was one of the introducers of House Bill 1578 and said the bill establishes a process for local farmers to receive carbon credit dollars for agricultural practices that sequester carbon dioxide. 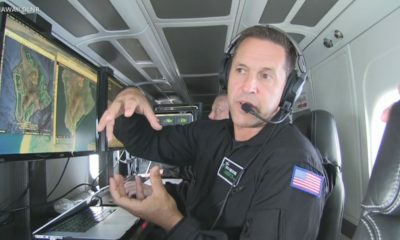 “It’s important to commit to addressing climate change, but it’s even more important that we actually take meaningful action,” said Rep. Chris Lee, Chair of the Energy & Environmental Protection Committee. Lee was one of the introducers of House Bill 1578. “These bills ensure local industries continue to reduce emissions and empower local farmers for sequestering carbon,” Lee said.